This is the Promises of God Podcast, and I’m your host, Tracie Rollins. 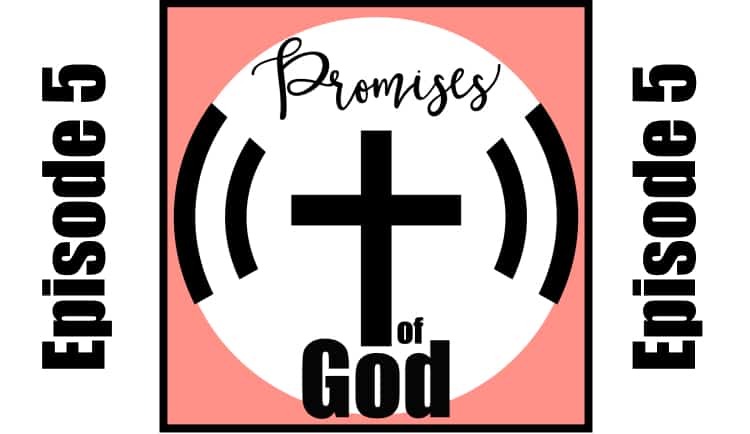 This podcast is about you, your ability to hear and believe and take action on God’s promises in your life because all of God’s promises are yes and amen. Resources mentioned in today’s episode can be found on promises of God podcast.com. Now, let’s get started. Welcome back to the promises of God podcast, episode number five. My name is Tracy Rollins, and I want to thank you so much for spending some time with me as we learn and take action on God’s promises in life. This month series is about having your best year ever, and we’re working out of the Momentum devotional offered by Bible journaling ministries.com, and I’ll link that in the show notes today. We’re talking about smart goals in our verse is Isaiah 58:11, and it reads, and Y’all way will guide you continually and satisfy your soul in dry places and make your bones strong, and you shall be like a watered garden like a spring of water whose waters don’t fail. I love that. It just shows that God is with us. He continues to guide us. You can see in this verse; he will guide us continually. He will satisfy her soul in dry places and make us strong. We will be like water. Got Her garden like a spring of water whose waters don’t fail. Our plans will succeed if they are in him. It’s so important to plan. It’s so important to make sure that the goals that you have in your life are smart. Now, there are plenty of ways to decide or determine if your goal is a smart goal, and in this episode, I’m just going to share a different approach. It’s still using the acronym smart, but it is more of a faith-based smart goal than it is a maybe what you’ve seen or been exposed to in the past. The way I’ve always been taught to create and achieve my goals has been through the smart method. Every class that I’ve taken, every leadership training, every course in my over two decades of career time has always been about achieving smart goals. And, uh, in the past they’ve been where they are specific. They’re measurable, they’re achievable, they’re realistic and time-bound, and though that is a really great method, and it worked for me for so many years and the model is really great for goals, but the problem is I feel it lacks a faith-based component, so I put together this smart goal idea that might feel a little bit better for those who prefer to put God first as they create their goals for the year. The next one is t, which is timely, is this God’s will and timeframe Continue taking action that realizes that your timetable is not God’s submit to his will and timeframe. He may want things different. He may want things earlier. He may want things later than you had planned, so as you go about this week, I want you to think about is your goal smart. Then give you an example of my goal. My goal this year is aggressive. It’s to lose two pounds a week over the next six months. Now, if I use the smart goal method that we just talked about, the first thing I would do is be specific in my prayer and I’m here would be an example of that. Lord, please help me to honor the temple of the Holy Spirit. In my body, help me to take care of it so that I can serve you and be a light to others, and so then I’m going to take this to God. I’m going to ask him, Lord, if it’s your will, please help me to make the right choices that I could lose 50 pounds or 48 pounds over the next few months. Lord, help me to put the right things in my mouth. Helped me to exercise where I can help me to have some self-care so that I can truly put this temple that you have my body, the temple of the Holy Spirit as a priority. The next thing is meaningful. An example of this would be indirect maybe for me, so for meaningful. It can directly or indirectly point others to Jesus and for me indirectly. People might see my weight loss, and they might ask, well, how are you losing weight And I can certainly, I can say, yeah, I’m going to be on the Quito or I’m going to be polio, or I’m going to be on the vegetarian diet, or I’m going to be on the weight watchers or, or whatever. But I think what I would prefer to say is, you know, God has just given me way more strength this year and way more disciplined this year than I’ve ever had before. And I rely on him to get me through every day. And wouldn’t that be an excellent way to point others to Jesus to let them know that he is the one that I follow in the light, in my life? I think it would be great to be able to do that. The next one is attainable. So attainable is, is has God provided the resources. Well for me, I say yes. You know, God has provided wise counsel. Certainly, I have the opportunity to go to a library and check out books and get the information I need on any specific weight loss program I want to follow. I can go online and research it as well. There are so many options for recipes these days. I love that I could google something and be able to come up with what I’m looking for. It’s just amazing. So for my weight loss, your knee, you know, God has provided the tools that I need, and when it comes to the exercise portion of it, I’m still working on my knee issue. I am walking daily and doing some holy Yoga. Actually I think that might be a brand name, so I guess I should say faith-based yoga or Christian Yoga and I love that type of exercise because their scripture that is talked about in there and even if the instructor isn’t reading from the translation that I prefer, I can still go back to my Bible later and read the right track or not the right translation, but the translation that I prefer now, the next one is relevant. How is the goal relevant to the purpose that God has given me Well, for me, if it’s weight loss, then I’m focused on. For me, truly it’s about being healthier. The goal is relevant because I need to be healthy to continue to film videos or do my podcasts or create printables for people and do all the things that help bring others to God, so definitely being healthy is a key component of that. If I’m sick, I can’t get out of bed; then I’m not going to be able to do the work that needs to be done each and everyday envoy, isn’t it quite a bit of work. The next one is timely. Now, of course, my will, my will would be to lose 10 pounds a week the next six months, so that will be 48 pounds. Historically, I have not been successful in that duration of time or in that quantity of weight lost. I do not know if I will be successful this time, but I am leaving this up to God. I am going to do my very best. I’m surrounding myself with wise counsel and people that can help me. I have some verses that will lift me and I’m going to do the very best job I can. Now God may see things a little bit different. It may take a little bit longer. The journey might not be exactly how I want it, or you know what The outcome may not be there as well. I can decide that, yeah, I want to lose 48 pounds and that’s the outcome that I want, but my body may just settle in at 10. It may say, you know what I’m good with 10 and that’s all you’re gonna do, and so I’m going to be accepting of the outcome that God has in my life and always be praying to him for direction. So if the journey is 10 pounds, it’s 10 pounds of the journey is no pound. It’s no pounds. I am content in the Lord and where he has, but that doesn’t mean that I’m not going to try. I’m going to try, I’m going to do my best, and hopefully,y we’re going to see where that is, but I’m not going to be attached to the outcome. I am going to be attached to the journey where God has me and what he wants to do in my life. So I hope that encourages you and inspires you to look at your goals. Is your cool smart I hope that you’ll use the goal, the smart method to kind of work through it this year. Having smart goals that include God can be a game changer. I know it is a game changer for me and I hope and pray that as a good, again, a game changer for you. I hope this episode really helped you think about the one thing that you’re focused on this year and shed some light on how it can bring glory to our father God, and if you don’t yet feel the love of Christ in your life, I encourage you to invite God into your life today. You’re not promised tomorrow and please don’t put this off. Romans 6:23 says, the wages of sin is death, but the free gift of God is eternal life in Jesus, our Lord. So turn to him, confess your sins, follow his will in your life, and thank you so much for tuning in today and I’ll see you in the next episode of the Promises of God. Goodbye. Thanks for listening to the Promises of God Podcast. This podcast is sponsored by Bible Journaling Ministries, where thousands of women. Grow in the word creatively. Get your free 10-day course from Bible Journaling Ministries and another episode resources at ThePromisesofGodPodcast.com.